Dariusz was born in Poland. He left Poland just before martial law was enacted in Poland in 1981. He immigrated to Canada in 1983 where he completed his fine art education, receiving an Honours BFA in Visual Arts from York University. He completed independent study in painting under Claude Breeze and Eugenio Tellez, and received the Jack Bush Scholarship. 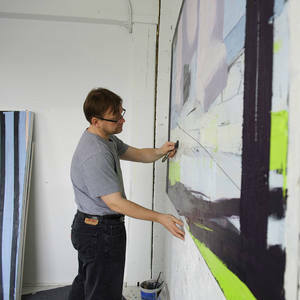 Since graduating, Dariusz has been working as a full time artist. He has been represented by Peak Gallery since 2010.